This is not a new build, just an update from my existing Baymax build under my old account, AlarmedShrew. My niece deleted my old PCPartpicker account...don't ask me why...kids just somehow figure things out. This build is designed for maximum performance while being very portable. I'm an electrician and sometimes travel out of town for up to a month at a time on big construction projects. On my last gig I couldn't bring my Corsair 400c mid-tower with me and my co-workers have a bad habit of spending a lot of their cash in bars and dancers in gentleman's clubs after our shift is over. 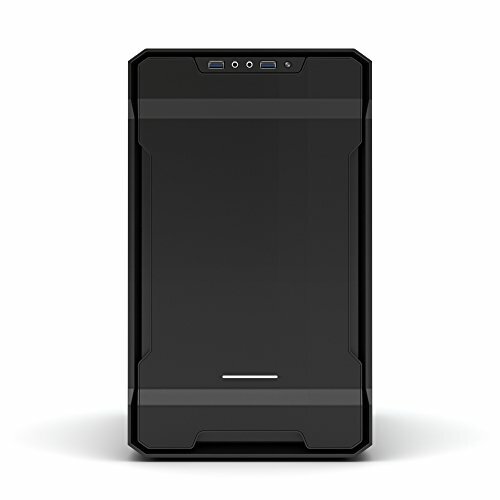 The Manta is the best case with the most flexibility however it's about the size of a mid-tower..no. The Nano S was perfect but the Evolv ITX has the same flexibility and has a sexier exterior. Since the LED fans are so close together inside the case very little is actually illuminated so I painted the inside of the case. There was no need to replace the existing 200mm fan the case came with, I just needed to use all my existing fans from my old case. The front top of the case has the CPU AIO in exhaust, and the rear top fan in intake to prevent chocking the GPU radiator. 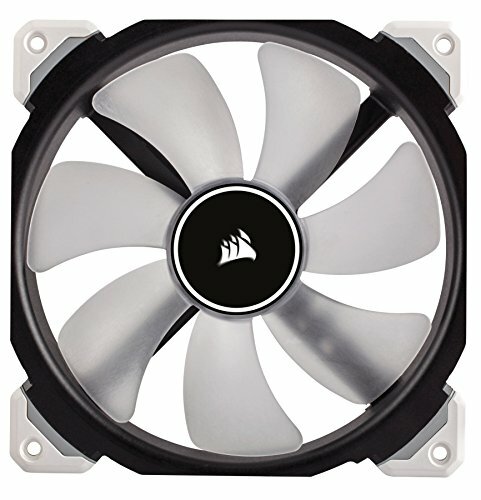 I've tried numerous configurations and this one keeps the fans running at the lowest speeds and has the lowest temps. The 980 Ti was purchased cheap from a friend since he needed an excuse to buy a GTX 1080. I did upgrade the storage for my photos with a larger 2TB SSD, a larger 3TB backup drive and new, more compact peripherals. The SSD's are tiny and silent, so naturally I had to mount them up front to show them off. This frees up more room for cable management and I was able to remove the drive cage. The 2TB SSD is for family photos/videos and music library. The 1TB SSD is for gaming and yes, I do need the space because I currently have 760 GB of games on it already. 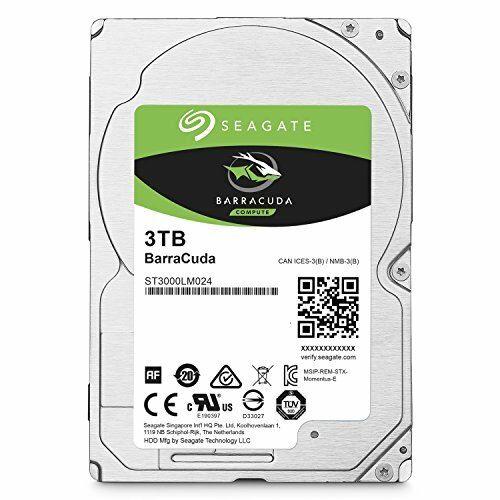 The 3TB HDD is an internal backup drive. 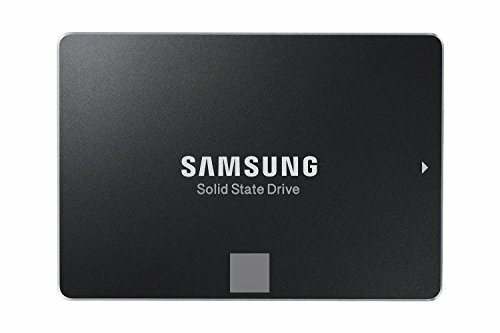 The Samsung M.2 SSD is the boot drive and runs basic apps. Couldn't be happier with the Logitech peripherals over the older Corsair goodies. 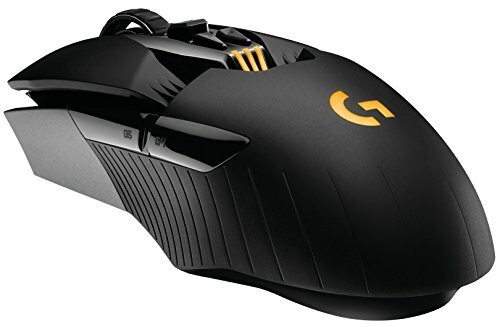 The G900 mouse is insane and performs no different than a wired mouse. The Logitech Pro mechanical keyboard is super portable with a detachable USB cable. Coming from Cherry MX Red it took about two days getting used to the Romer G switches. 20% off custom cables from CableMod with the purchase of any ASUS motherboard to match the motherboard color scheme. Baymax chills out on top with his little glass chicken homie. I love this build so very much and I intend to keep this case for many years to come. I have zero complaints. It's fast, overclocks well, high clock speeds and is very capable rendering video files. I give this 4 stars. 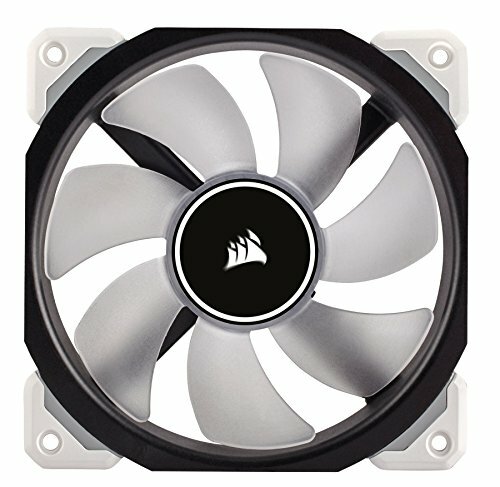 Works great, keeps my system nice n' cool with low fan speeds. My only gripe is the very dated look and the installation is damn frustrating. It needs a refresh badly. 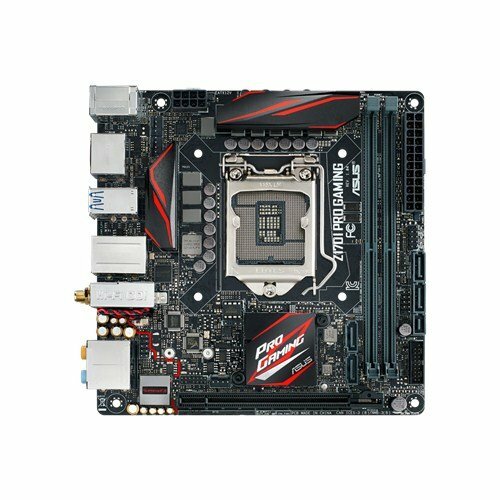 Hands down an amazing ITX board for the money. It looks good, performs great, has all the features you need (like WiFi, Bluetooth, decent audio drivers, etc.) and overclocks CPUs well. Thus far from what I can see from doing benchmarks, this essentially performs identical to a GTX 1070. Five stars! I love this case. 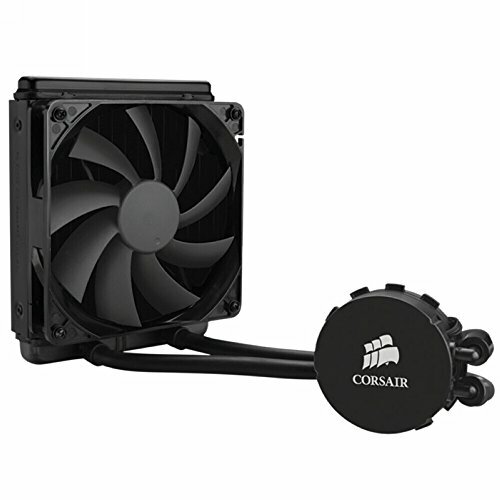 It's flexible, capable of custom liquid cooled loops, and can easily fit two AIOs for CPU and GPU. Lots of spots for mounting drives and includes an excellent 200mm intake fan. Very sturdy, no flex when moving the case, the side window just looks sharp, and the exposed PSU shroud is classy and unique. 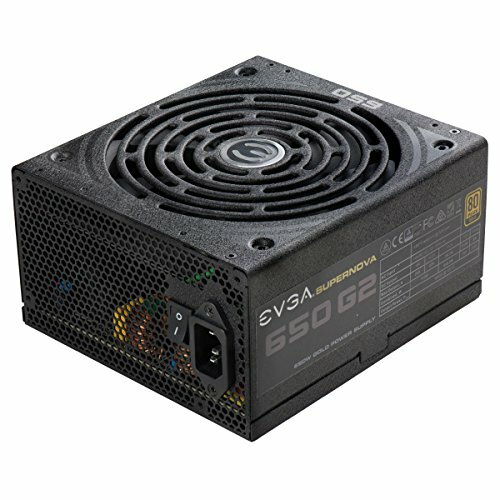 Solid PSU, no fuss, works reliably, cheapest option on the market at 650W. Same as the ML 120mm fan counterpart. Hardly more quiet than Noctua fans, same warranty as Noctua fans, static pressure, but no poop brown color scheme like Noctua fans. I highly recommend these. if you don't need LEDs then get the regular MagLev fans at a reasonable price. It's a solid choice for a gaming headset. It's still plagued with only decent audio drivers and the usual lower-middle quality microphone. However, all wireless gaming headsets have this issue because first, high quality drivers require more power and amperage than your typical motherboard can deliver/process and second, wireless headsets have very limited bandwidth to transfer sound from the mic. Overall they look quite slick, no fancy RGB and the design is not going to look dated five years from now. The fold away mic is great, the controls on the headset feel great, and the Logitech software is the best the market at this moment. The construction is almost all hardened plastic so it's remarkably lightweight. They are comfortable enough for marathon gaming and the ear pads are fairly large and rounded, so nothing is resting or pushing on my ears at all. The 7.1 channel is a clever trick Logitech uses help immerse yourself in the game. For example, footsteps to the left of your character in-game is heard on the left side drivers. it doesn't always works that flawlessly, but it's still very good. The sides of the drivers has a glossy finish, not bad but attracts annoying fingerprints. I would have preferred a matte-type finish. 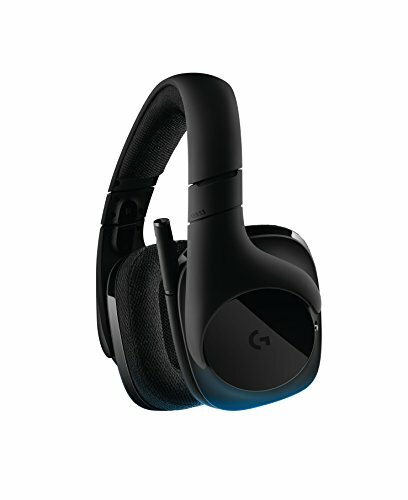 The price is a tad steep at $140.00 but for wireless gaming headphones that just work, easy to use with great build quality, I definitely recommend these if your looking for an upper-middle quality wireless gaming headset. Amazing write up and build, +1! Great PC, a lot of power/cooling into a small package! I bought the 980ti Hybrid from a friend that needed an excuse to upgrade to a 1080 so he sold it to me for cheap. A bit cramp dontchu think? I suppose ITX builds seem cramped in photos but everything fit very well and the build transferring the guts from the Corsair 400C to this case was done in just under 35 minutes. I'm actually working on taking this build even smaller into a new case half the size of the Phanteks ITX. I'll post the pictures and build in about two weeks. Super clean build! I also need at least 1 TB SSD for my games.